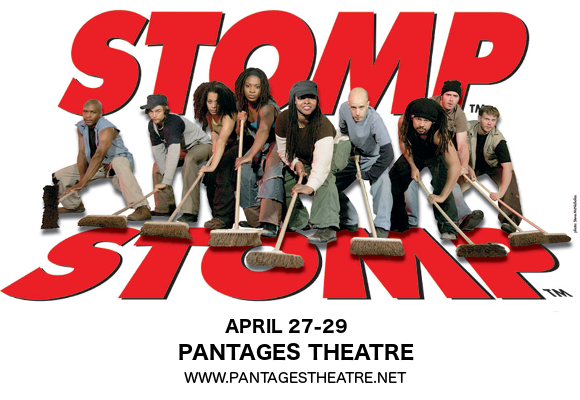 Get ready to see STOMP – the tiny UK-born show that evolved out of the street-theatre scene, became a sellout hit on the Edinburgh Fringe, and blossomed into a worldwide phenomenon!! The performers create live music and dance from junkyard objects – from plastic bags to bin lids, the cast of STOMP show that everything can be turned into an instrument in the right hands!! Coming to the Pantages Theatre on Friday 27th April 2018 – grab your tickets now!! “This hit show's big beats, junkyard instruments and playful performers will have kids mesmerised,” enthused a Time Out review. Fun, loud and hilarious, Stomp is recommended for adults and children over 4 years old. Book early to get the best seats! !